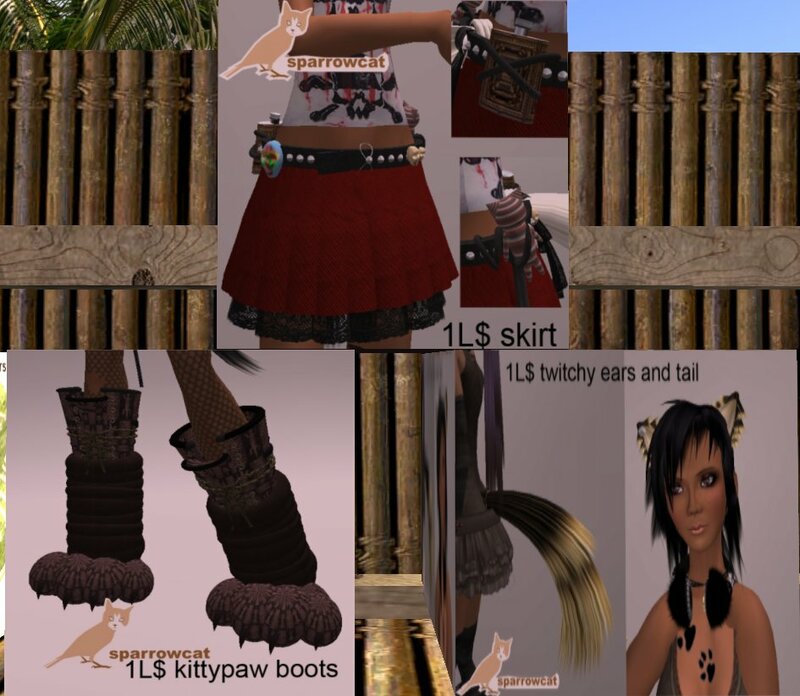 If you like neko gear, come to C-Morane Creations and stalk the Lucky Boards, awesome prizes for nekos ! One set was for guys. I have seen 5 boards at the store, maybe there are even more. A lovely group gift for nekos from LoveCats. You can find it at the store, along with very nice prizes in the Lucky Chair and more freebies in pink boxes on the floor !! Funny Christmas kit at EatRice, consisting of antlers, ears, hair, tail and a hair clip. mimiau Aichi is a new designer, so new, she doesn’t even have a store ! She designs the nicest neko accessories and sculpted sneakers. They are now available at the Freebie Telegraph Store in Odessa. Come over and take a look ! This is her neko skirt with belt. and here are the kitty paw boots, neko ears and tail ! 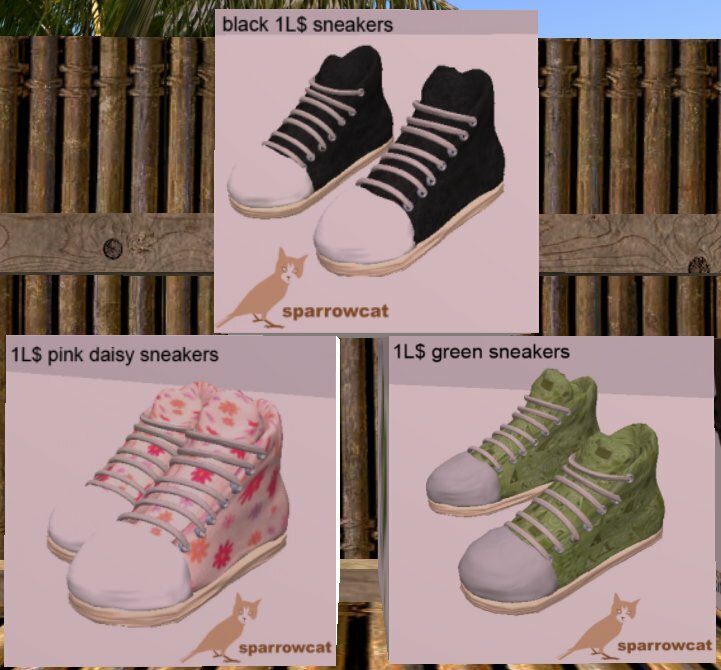 I hope to see more nice items from aichi and her brand sparrowcat in the near future !